First of all, you will need to register an account with MailChimp. 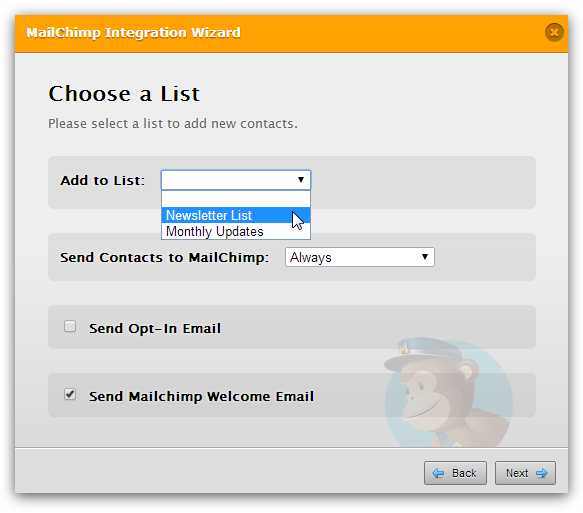 Then, you will be able to create mailing list(s) using your MailChimp account. Hi I did thatbut when I clicked add to list it was blank. 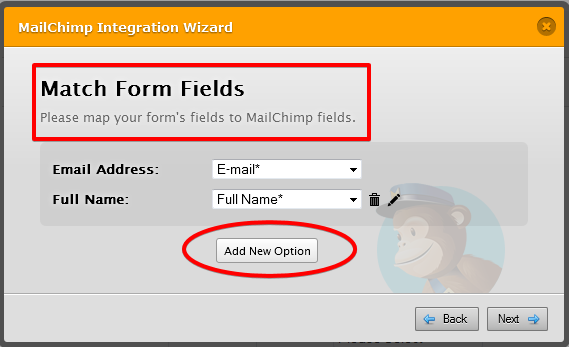 Please use the Add New Option button in the field mapping screen to be able to add the fields you want to map from the form to the MC fields. 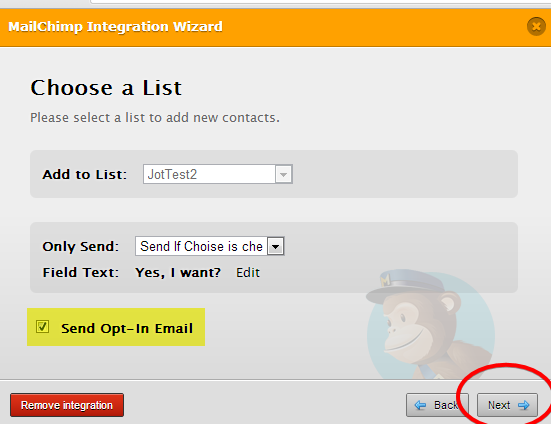 The Match Form Fields screen is after you have chosen a lists and click Next button. Hope this help. Inform us if you still need assitance on this.